The perfect armless accent chair to complement any space. 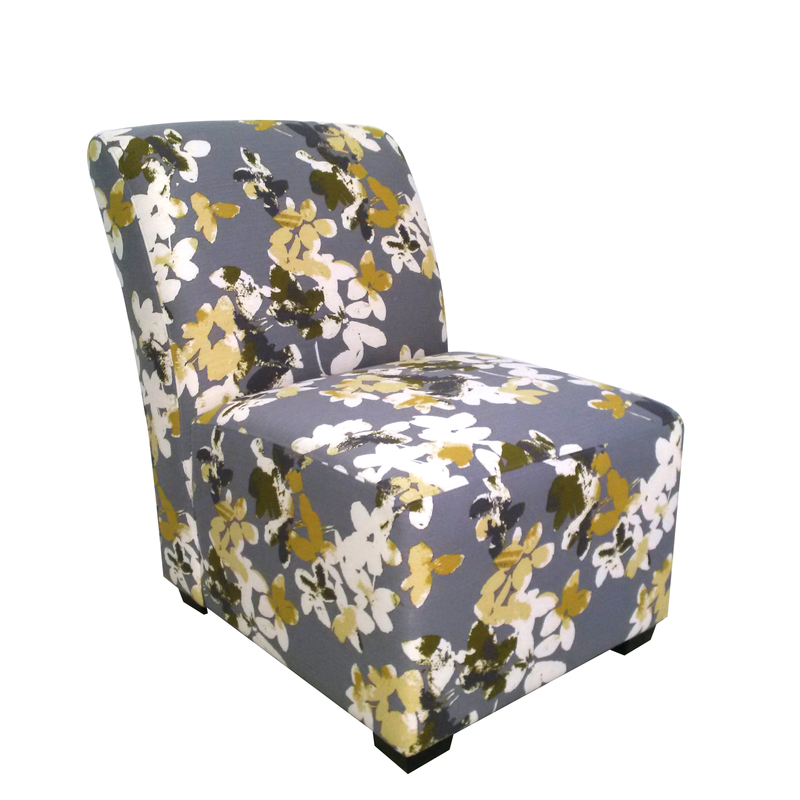 This chair is upholstered in a soft mid grey fabric with a beautiful floral pattern. 26" x 31" x 34"